Set just off the main street of Carleton; Poppy Cottage No. 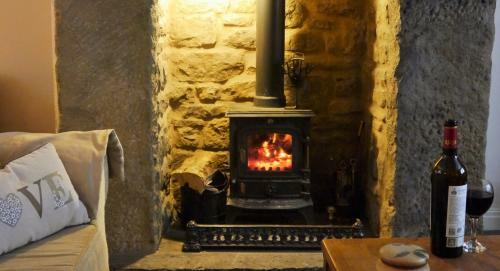 2 is a lovely two bedroomed 'Yorkshire' stone cottage with wood burning stove. Although the word 'cottage' cunjurs a small, little house; Poppy Cottage No. 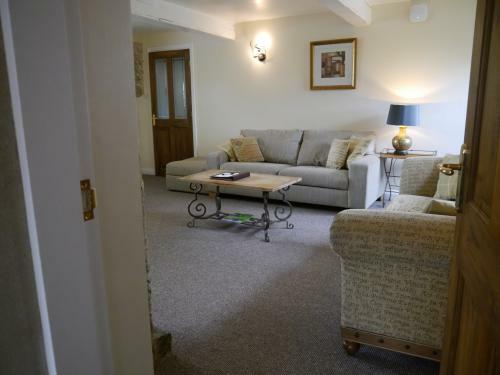 2 is actually very spacious and has been converted from what was the original barn to Ivy Cottage Farm to form a superb holiday home. 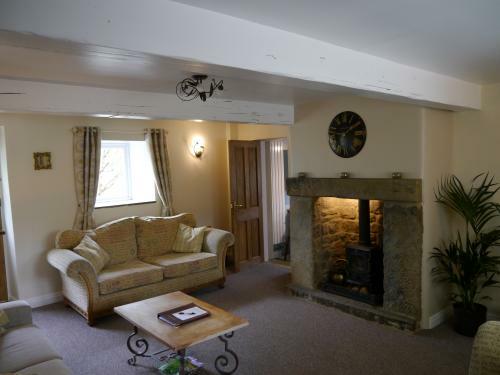 The cottage has held onto many of its original features with thick stone farmhouse walls, whitewashed beams and stone fireplace. 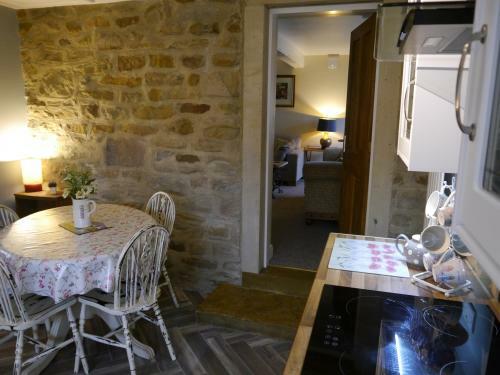 The cottage has a large kitchen/dining room, a ground floor shower room with w.c.; a bright and airy lounge with two sofas (one being the pull out sofa bed) and access to the sitting out area to the front of the cottage through the stable door. 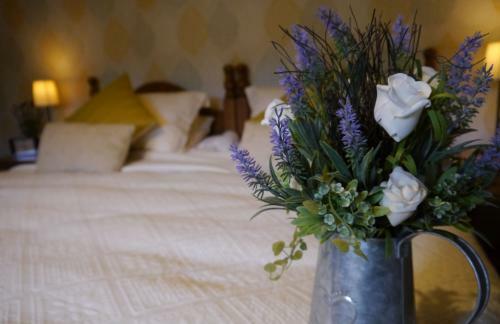 There are two first floor bedrooms; the main double bedroom has twin wooden beds (which can be arranged as a superking bed) and the single bedroom has a single bed. There is a house bathroom across the landing with a large bath and separate shower cubicle. Poppy Cottage No. 2 has a sitting out area to the front, where you can admire the views and watch the village life go by. 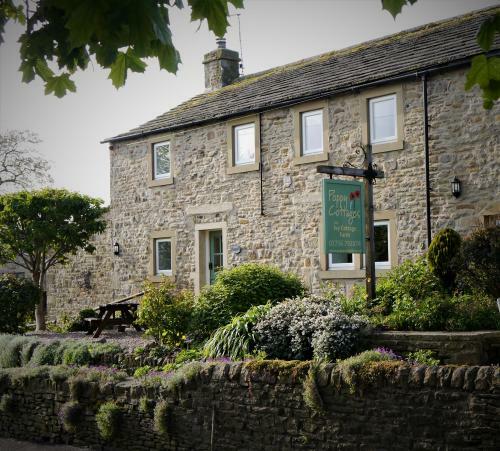 The view of Rombalds Moor, that provides a colourful backdrop to Skipton, can be admired from here; the perfect place for your morning coffee or possibly even a barbeque at the end of the day. Some may love this and some may not, but the cottage is PET FREE. 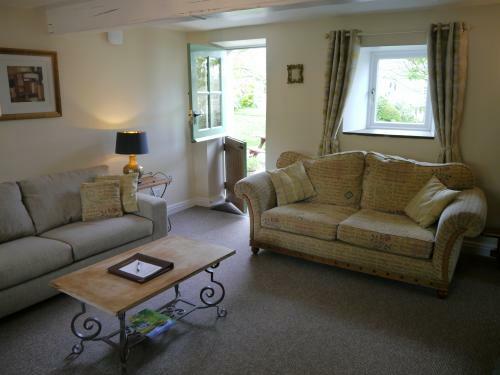 Two first floor bedrooms - 1 double room and 1 single room - both with views of the hills and countryside. 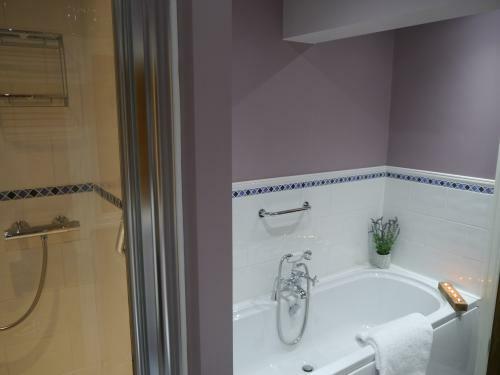 2 bath/shower rooms - house bathroom and ground floor shower room. 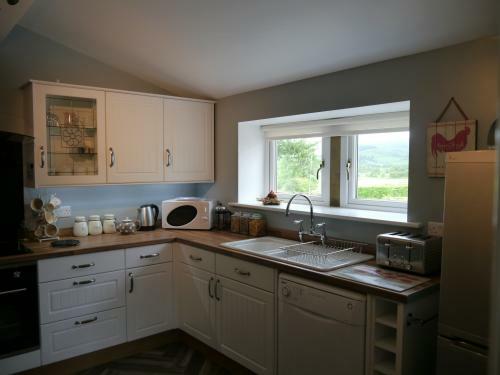 Dining kitchen with exposed stonework - electric oven, induction hob, dishwasher, fridge freezer,. Microwave, toaster & coffee machine. Superfast WIFI throughout the cottage, for all your streaming and internet connections. Large flat screen TV in the lounge with freeview channels and fitted with chromecast. DVD player and DVD library. TV to bedroom one, with freeview channels. Bath towels and hand towels provided and replenished, if required. Travel cot & bedding, high chair and stairgate fitted. Washing up liquid, dishwasher tablets, cleaning materials provided. Kitchen hand and drying towels. Private parking in the forecourt for up to 2 cars. 'Yorkshire Tea' bags, freeze-dried coffee sticks and white sugar sticks. Selection of breakfast cereals, stored in Kilner Jars for extra freshness. Selection of condiments and oils. Minimum stay 3 nights - If you spot a 2 night slot on the calendar below, please give me a call to book. Last minute and seasonal discounts will also be shown below, when available. A deposit of £100 is required to secure a booking; the balance becomes due 4 weeks prior to your stay. Bookings made with an arrival date less than 4 weeks require payment in full. Please read all our terms and conditions before making a booking.